When Beaslai wrote his life of Collins he generally made only passing reference to the other members of the general headquarters staff and then usually in the context of Collin's role. At no time did he mention GHQ nor did he refer to its formation in March 1918. He did not include GHQ in the index. Neither did Beaslai consult my father, Sean McMahon or Sean O'Muirthile during the preparation of the book, although these three were among the closest to Collins during the war of independence and its aftermath. Perhaps, in view of its being a personal biography, it is understandable that Collins's colleagues on the staff did not have a prominent place in the biography. Although it may have been accepted as such by subsequent writers and historians, Beaslai's book was not a history of the War of Independence. Similarly, your own book about Collins did not give particular prominence to other members of the GHQ staff. Again it can be asserted that it was a personal biography and did not aim to be a comprehensive account of the War of Independence. However, when you write about the broader aspects of the Civil War, as you did in summary form and principally aimed at an uninformed national and international audience in the recent publication "The Irish Civil War", I do not think it is correct that you should claim that Collins had a virtually exclusive leadership role during the War of Independence and afterwards. Let me give a few examples from that recent publication of why I believe your emphasis on Collins gives a skewed impression of his exclusive military and political roles from 1917 to his death in August 1922.
page 15, para 2: "---,Collins, however, escaped and pioneered a new type of urban guerrilla warfare,---". Of course he encouraged guerrilla warfare, both at urban and provincial level, but he was only one of a number of others, including the provincial leaders and the members of the GHQ staff generally who were responsible of advocating this policy. You emphasise the urban aspect of the policy and here you are nearer the truth but many readers will interpret your comment to mean that Collins inspired the countrywide policy. Ashbourne preceded the guerrilla tactics as did the Boers in South Africa. Page 19, para 1: Collins "reorganized the revolutionary movement after 1916 ---." He was one of a number of directors appointed by the volunteer executive in October 1917 and he was a member of the GHQ staff at its formation in March 1918. He played a major role in reorganisation, particularly on the intelligence side, but there were others who were equally responsible for reorganising the revolutionary movement although as personalities they may have been less visible than he. How can you exclude some of the other military leaders who were acknowledged to play a very important part in formulating a policy of resistance and who participated in conducting the war of independence? Page21, para 4: You refer here to his network of agents and principal henchmen. You may have intended his close associates in the Dublin scene when you write about his principal henchman but this reference will be easily interpreted by readers not familiar with the personnel leading the army who were equally concerned with the military campaign. Page22, para 1: "--- Griffith was the nominal leader but because of his health he asked Collins to lead." This is news to me. I had always believed and read that Griffith lead the delegation. And even if it is true that he asked Collins to lead, it was Griffith who met the British representatives on his own on the evening before the Treaty was signed, and it was he who said that he would sign, even if his colleagues did not do so. It was Griffith who made the fateful decision to sign. Both Collins and Griffith are inextricably linked in relation to the Treaty negotiations and the Treaty settlement. Page23, para 2: Apropos of the meeting between the army and the cabinet on 25 November 1921, you write "De Valera was checkmated by Collins's IRB supporters amongst the leadership." This again seems aimed at giving undue prominence to Collins and is quite misleading. Collins was not at the meeting but the rest of the GHQ staff was there and their opposition to Dev's proposal was unanimous, irrespective of whether they were members of the IRB or not. My father made it clear to the cabinet that he could not continue as chief of staff if Stack were to replace O'Duffy as assistant chief of staff. Your emphasis would perhaps be understandable if you were writing specifically about the IRB or about Collins, but not when you are dealing with the wider history of the time. Page 23, para 3: Writing of the Treaty negotiations "---during which Collins constantly visited Dublin, --" For the sake of completeness it should be said that Griffith also constantly visited Dublin. Page 29, para 4: "---as the Provisional government, headed by Griffith and Collins, ---". It is misleading to say that Griffith was part of the Provisional government, although it is true that he continued to play an important part in implementing the Treaty up to his death on 12 August 1922. Griffith was not in the provisional cabinet but replaced de Valera as President of Sinn Féin and head of Dáil Eireann. 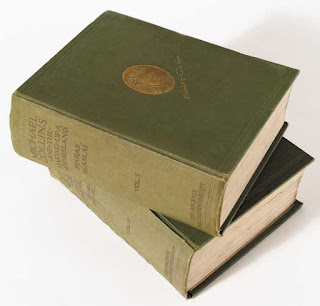 Page 38, para 2: Writing of the organisation of the Free State army you say "This was in large part due to the leadership of Michael Collins and the unorthodox but effective generalship of his close friend, Emmett Dalton, ---". It is surely a misleading statement when you ignore the participation of other senior officers and the minister of defence who were more involved in the details of the army's organisation than Collins from January 1922 to the moment Collins rejoined the army on 13 July . And then he was only six weeks at the head of the force before he was killed on the 22 August. P260: Writing of the split in the army at the time of the mutiny, you write "Mulcahy vehemently opposed this organisation and set up another, rival one". There is no evidence whatever nor has anyone ever suggested to my knowledge that Mulcahy was involved in the organisation of the IRB within the Free State forces. He may have had an inkling of IRB influences at the time, although a tape recording I made of a conversation between himself and Sean MacEoin about the IRB would suggest that he knew nothing about his senior officers' role in revitalising the IRB. The move by him attributed by you would have been inconsistent with my father's commitment to the army's constitutional role. I know that you are a great admirer of Collins. However, perhaps his greatest admirer and supporter was my father. My memoirs about my father, which are about to be published, attest to this admiration of Collins. 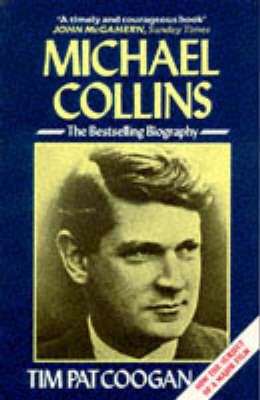 Dad's writing about Collins, which are extensively quoted in the pages of his memoirs, confirm the close links they had, the appreciation my father had of his great organisational abilities in military and political affairs, and how he, Mulcahy, did everything possible as chief of staff to encourage Collins in his prominent and vital military role. He thought that the loss of Griffith and Collins was a major tragedy for the emerging young nation. I do not think that Collins's great reputation will suffer in any way if the history of the 1916-1924 period is presented in a balanced way. Too much attention to one participant to the relative exclusion of others who need to be acknowledged inevitably gives a skewed picture and must be construed as a partisan approach. Quite frankly, I do not think that you are showing the degree of balance which one would expect of an objective and impartial historian in this latest publication. Perusal of your text might easily suggest that Collins was the principal subject of your essay. It is possible that, if an exaggerated and too exclusive a role is attributed to Collins, it may lead to the attention of the revisionists. It is not easy for me to write this letter to you because of my close relationship with the late Richard Mulcahy (who was head of the army as chief of staff or Minister for health, or at times both) from March 1918 to March 1924) but I expect that we all would like to have the recent history of this country, which still evokes such interest, recounted as accurately as possible. If we must differ about certain aspects, such as the ones I allude to above, it might be best if we were to meet to discuss them face to face. If you wish to do so, you might call me at the above number. I would be very glad to invite you to lunch or dinner. A nice claret or a good Australian Chardonnay might serve to enliven our conversation and might help us to reach a consensus. Mulcahy’s role in 1916 and his leadership during the War of Independence and the Civil War is recorded in the following biographies. I have read and not altered the above comments about Tim Pat Coogan’s biography of Collins. I have in my papers the titles of at least 40 books about Collins but it is clear that some of these are based on secondary or tertiary research or on no research of any sort. They are clearly more often based on commercial motives rather than historical ones, and they will continue to be popular for the public and for travellers in the book shops and the airports.